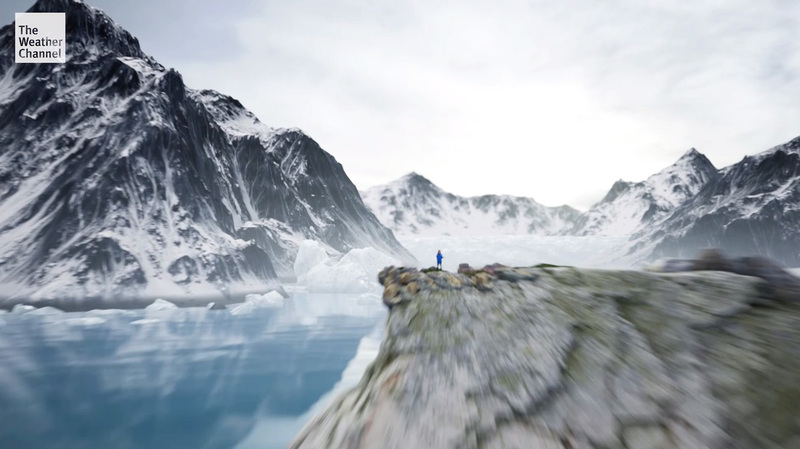 The latest immersive mixed reality segment from The Weather Channel “transports” viewers both forward and back in time — as well as “traveling” thousands of miles across the globe to explain the effects of climate change. 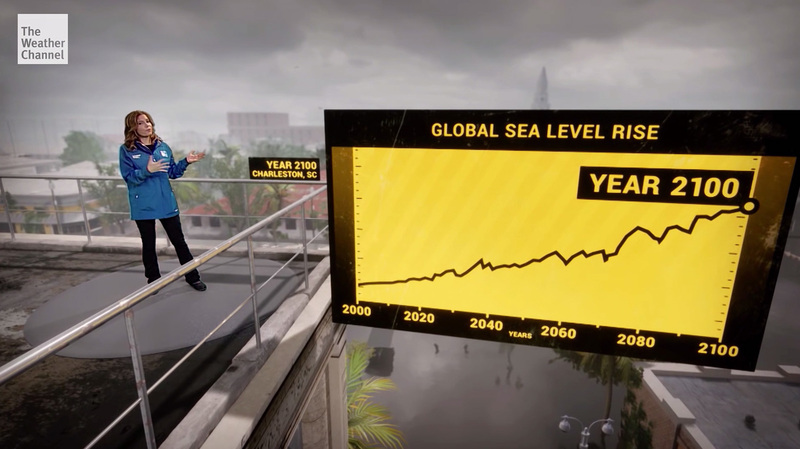 The segment, hosted by meteorologist Jen Carfagno and created as part of the network’s partnership with The Future Group, starts with her standing on top of a virtual rendition of what Charleston, South Carolina might look like in the year 2100. 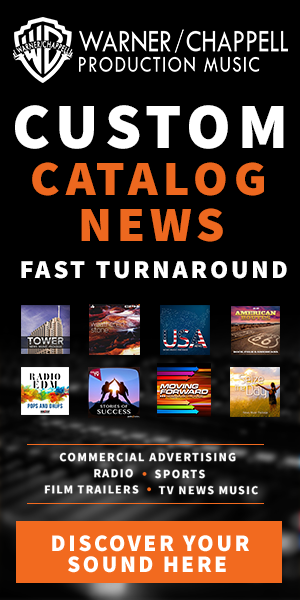 The view includes a virtual dilapidated billboard advertising the 2086 elections — suggesting it’s been at least 14 years since the sign was changed. Carfagno then points out the city’s flooded streets — and noted that much of the city will become uninhabitable by 2100. The video inserts a floating graph suspended next to the building. 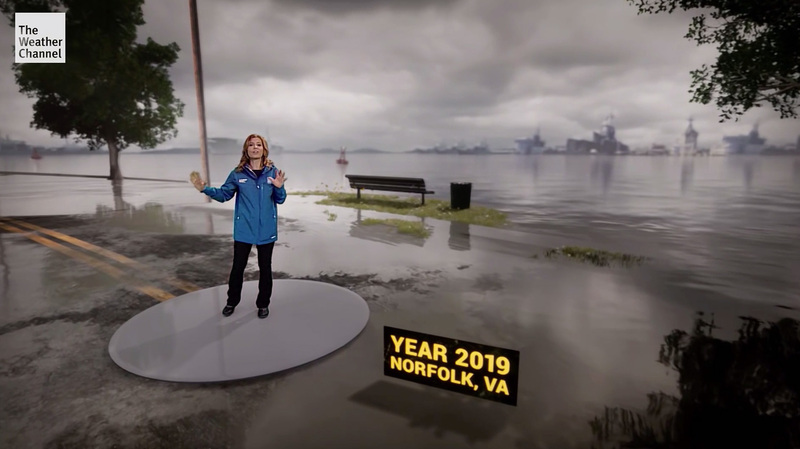 The virtual dais Carfago is standing on remains as the city of Charleston “disappears” and she is “transported” to present day Norfolk, Virginia, which is already experiencing the affects of rising waters. Viewers then zoom through clouds to thousands of miles away to the Jakobshavn Glacier in Greenland — still in present time. As the view zooms over icy water and wildlife, a tiny Carfago can be seen “standing” 25 miles from the glacier. After spending some time near the current face of the glacier, which Cargano notes has actually grown a bit in recent years, the camera zips back to Carfago’s vantage spot and then “rewinds” time as viewers see the glacier “rebuilding” over approximately 150 years — going back to 1851. 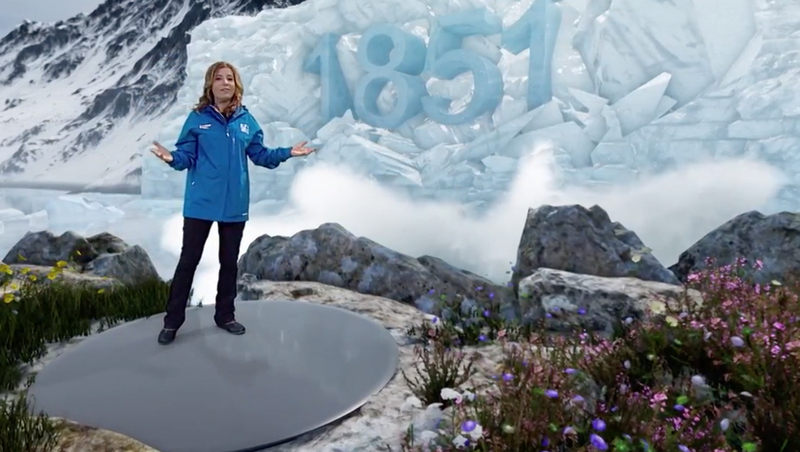 The reinforce the year, as the glacier calves, a giant icy “1851” is shown “embedding” the glacier, before eventually crumbling away itself.